Piskopiano Village Hotel Hersonissos is set on a quaint little hillside among multiple small eateries and bars. 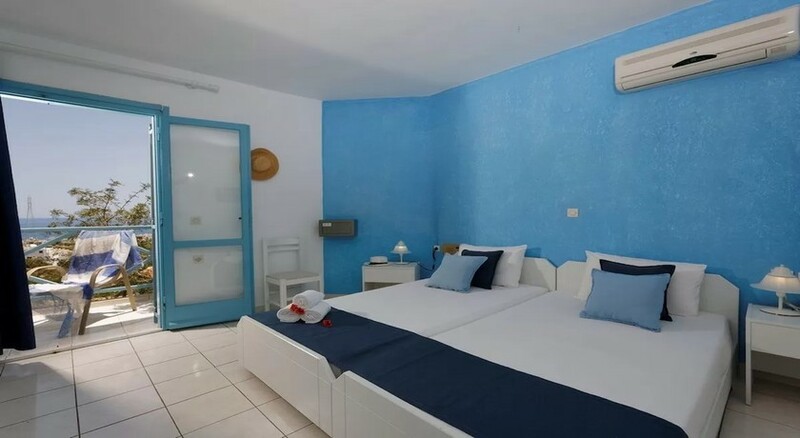 This informal apartment style hotel overlooks the Mediterranean Sea and is a 16-minute walk from the Reptile Rescue Centre and the Aquaworld Aquarium. Guests can also walk down from the Hersonissos Beach at just 1 km and spend a lazy day at the beach. Piskopiano Village Hotel Hersonissos is a great venue to enjoy some Cretan hospitality. It has three outdoor pools along with a poolside bar. Piskopiano Village Hotel Hersonissos has table tennis and a pool table for some recreation and fun. The best way to reach the hotel is via Heraklion Airport at 23 km from the property. Guests can visit the traditional village of Piskopiano on a hillside. It is built on the slopes of the ‘Harakas’ mountain. At just 1 km down from the property, one can find the Port of Hersonissos which is famous for the tourist life of Crete. One can enjoy the beautiful beaches here or indulge in some water sports. Guests can also visit the town of Malia which is at a distance of 5 km away from the property. It is famous for shops, bars and nightlife. Piskopiano Village Hotel Hersonissos has 47 well-appointed rooms all of which are modest and airy. 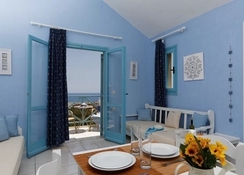 One can find free Wi-Fi in the rooms along with private balconies or terraces. There are kitchenettes in the rooms. Some rooms offer sea views. The 1 or 2 bedroom apartments add separate living rooms and some offer loft bedrooms. All the rooms have air-conditioning. One can enjoy watching their favorite shows on the big screen satellite TVs in the rooms. The kitchenettes are equipped with kettles, filter coffee machine and fridge. The en-suite bathrooms come equipped with a shower and toiletries. A casual bar at the hotel serves exotic alcoholic drinks. A poolside snack bar serves delicious snacks to keep your hunger pangs at bay. 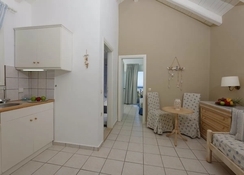 All the rooms come with a self-catering option as all have a fully equipped kitchen. Guests can also sample the various restaurants nearby the property. Piskopiano Village Hotel Hersonissos provides a pool table along with three outdoor pools. One pool is for the children. A vibrant playground for the kids has some swings. The property has a table tennis table for some sports fun.